Edward L. Silvis Jr., 75, of 223 Cedar Ave. Oil City, PA. ,died at 10:00 A.M. Wednesday August 29, 2018 at his home after an extended illness. Born May 3, 1943 in Oil City, PA., he was the son of the late Emogene E. Pleger Silvis & Edward L. Silvis Sr.
Ed was a graduate of Cranberry High School. 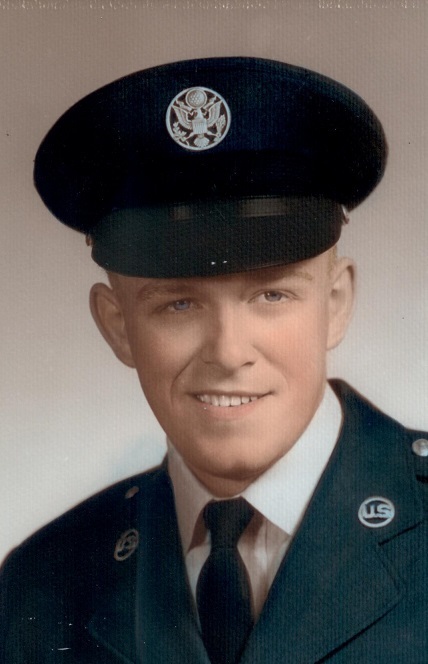 He enlisted with the United States Air Force on August 3, 1963 and served as an Airman Ist Class and was discharged on August 7, 1967. Mr. Silvis was married on Dec. 31, 1965 in France to the former Madeleine H. Thome and she survives. Ed was of the Protestant Faith. He enjoyed hunting, bowling, watching NASCAR, and the Pittsburgh Pirates and Steelers. He also enjoyed Penn State Football. Ed was a former member of the Tionesta Snowmobile Club. In addition to his parents, he was preceded in death by a brother James Silvis. Friends will be received from 2-4 and from 7-9 P.M. Thursday August 30 in the Reinsel Funeral Home. Funeral Services will be held at 11:00 A.M. Friday in the Funeral Home with Rev. Rick Kightlinger, Presiding. Military Honors will be accorded by the V.E.T.S.Honor Guard.